Unlike The White Ribbon (Michael Haneke’s Palme D’Or winning film from 2009), which stands out for its thematic and narrative complexities, Amour sees the Austrian director take a far simpler approach to filmmaking, with an intimate story of an elderly husband and wife, Anne (Emmanuelle Riva) and Georges (Jean-Louis Trintignant), and how their lives change after Anne has a stroke. Haneke once again takes an axe to the stability of middle class life, showing that happiness often hangs in careful balance. Most of Amour takes place in the couple’s home: a grand, traditional Parisian flat which soon becomes their own personal hell. Even visits by their haughty daughter Eva (Isabelle Huppert) only brings more anxiety and upset. As time goes on Anne’s health steadily worsens and Georges is forced to help his wife with the most basic of tasks. 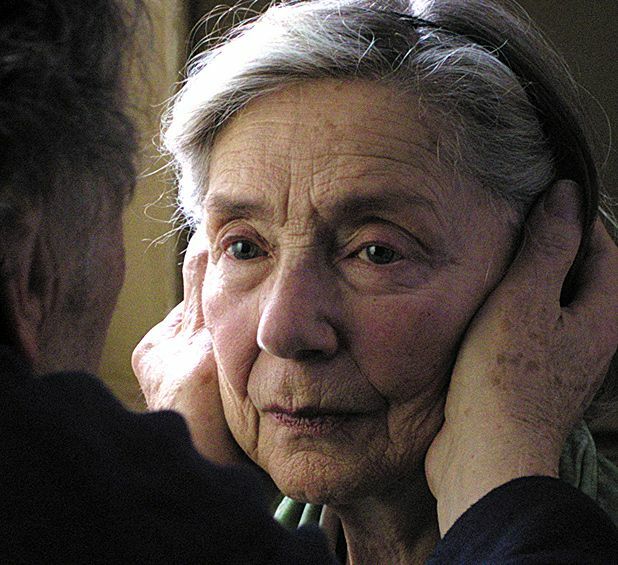 Amour is a deeply sad film with little relief or hope: just as it is for the characters the audience experiences no let up. From the opening scenes Haneke makes it clear where we are headed, leaving us to bear painful witness to Anne’s slow decline. Smaller in scope than the director’s previous work, Amour doesn’t initially impress in the way Haneke’s most famous films - Hidden and The White Ribbon - do. Instead of intriguing plot developments and shocking reveals - something both those films relish in - Amour creates its impact through repeatedly showing the degradation of human dignity. It is uncomfortable, unrelenting and in turn undeniably powerful. Amour screened at Cannes Film Festival 2012.